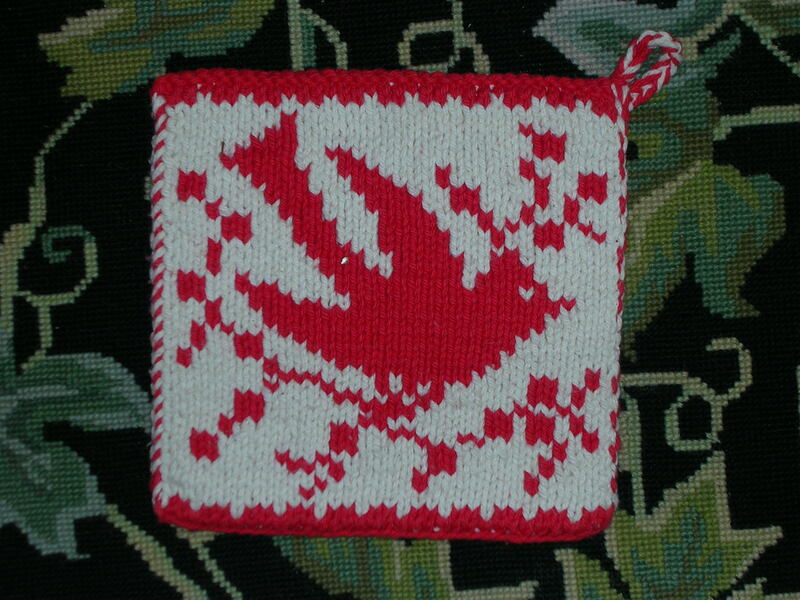 My mom’s best friend saw the Red and White Rooster pot holder and since she has been so sweet and helpful to me and my mom, I decide to knit a pot holder for her too. She didn’t tell me what type of design she liked, but my mom always talked about her lovely yard. She always is so lively and full of life, so I thought this little bird getting ready to fly was just the fellow for her. 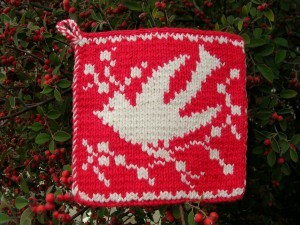 It stated out just as a bird, but then I decided to give it a little crown and some berries for a sprinkle of holiday and to go with the red and white theme; so now it’s a cardinal in a thicket of berries. They don’t have cardinals here on the west coast, but I do remember them in TN and MA as a little girl. 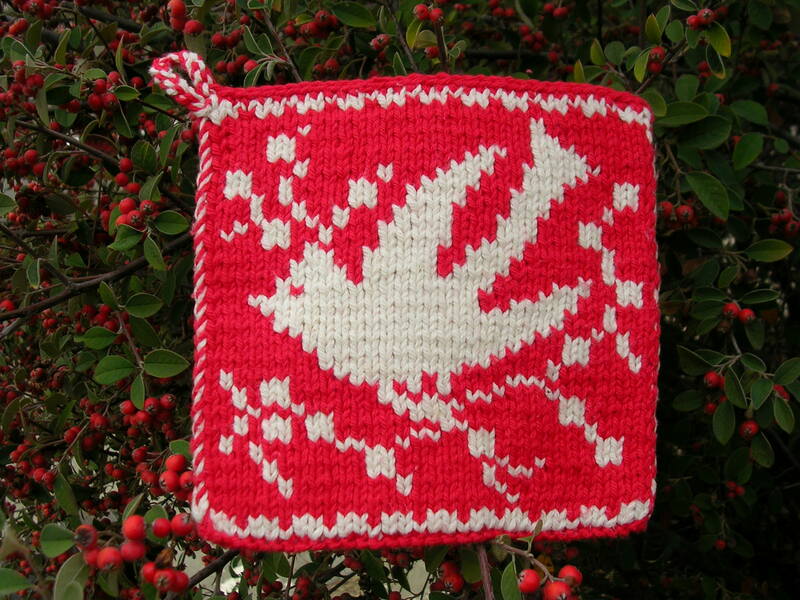 I would like to purchase the pattern for “Ready to Fly” potholder (the Cardinal and berries) but do not see it in your online store. Is it available and if so how do I order it? Thanks for the inquiry. I sort of took a break from converting my designs into patterns. I still want to, but I just wanted to explore other knitting techniques for a bit. I will try to start working on these again, but probably not until after the holidays. I still have a few presents on the needles and would like one more pair socks for myself and a sweater I’m half done with (mainly because I need to eat my growing yarn stash) So probably for another month, but I do very much want to put all my designs into patterns.